The title pretty much sums up our day. Except for sleeping in until 7:30am, we were either glued to our phones or running errands. 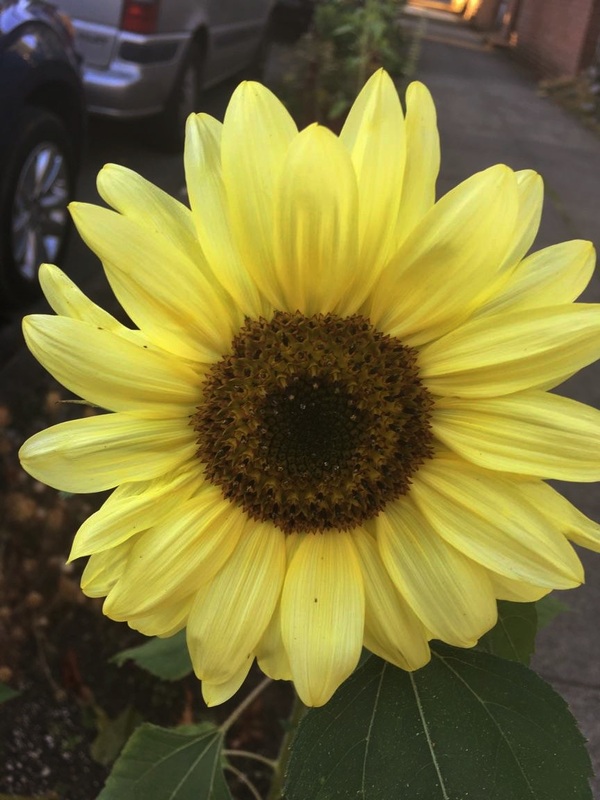 It was hot in Portland too – in the 90s – and this didn’t help. We felt sluggish and unmotivated. Laurie”s feet and ankles got so swollen she had cankles. Of course it wasn’t all bad though. There were some great moments. Like breakfast – which consisted of grilled cheese sandwiches and huckleberry pie leftovers. Diana drove us to REI (thanks Diana!!) to replace some gear and buy small plastic bottles. Andy has been craving hot sauce and oil/butter with his dinners and Waldo (whom we hiked with weeks prior) used bottles that he got at REI. 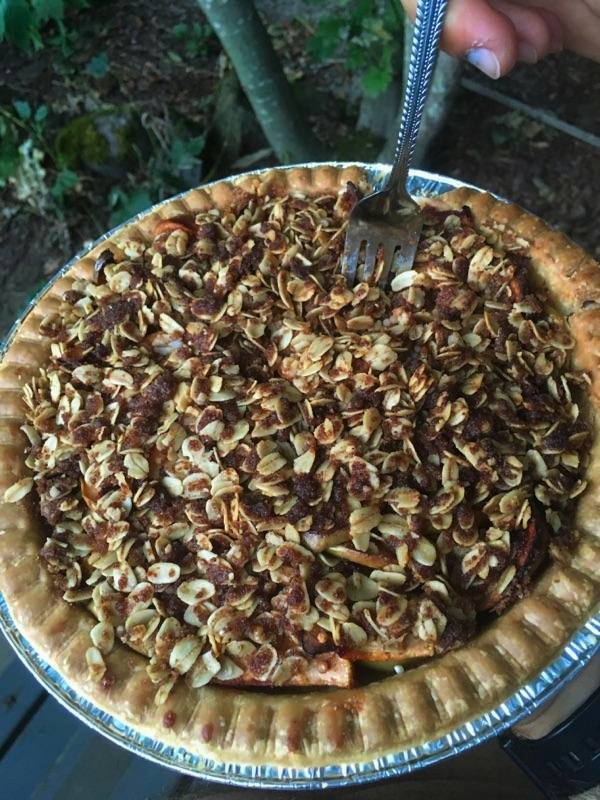 When we returned to Diana’s home we baked another pie. This time an apple pie using apples from Diana’s mom’s tree. So great! After planning visits with friends, talking with family and friends and blogging it was 5:30pm and time for dinner. We had heard great things about Pok Pok – a Thai restaurant near Diana’s home – from Fixie and other locals and wanted to try it. Karen, whom we hiked with a few weeks ago, was meeting us there. Unfortunately the restaurant had a 45 – 60 minute wait and we don’t stand around a wait very well. We removed our names from the list and went a few doors down to Bollywood Theater. We enjoyed the relaxed atmosphere and short lines of this Indian restaurant. Friendly staff and good food..it’s all we need really. After dinner we went back to the house and put our packs together. We are leaving at 6am tomorrow morning to get an early start and don’t want to sleep too late tonight. 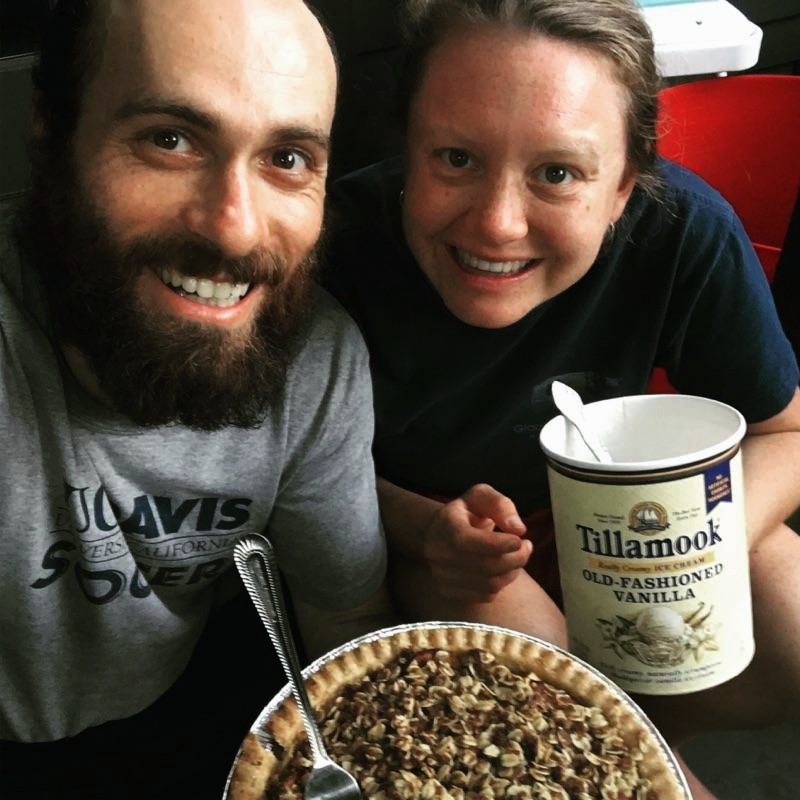 Once done packing we sat outside on the porch and inhaled our apple pie and Tillamook vanilla ice cream. We really like pie and ice cream! And apparently have bottomless stomaches. And we are really happy we found a locally made gluten free pie crust that tasted good. After another wonderful shower we went to bed, hoping to get some good sleep despite the heat. 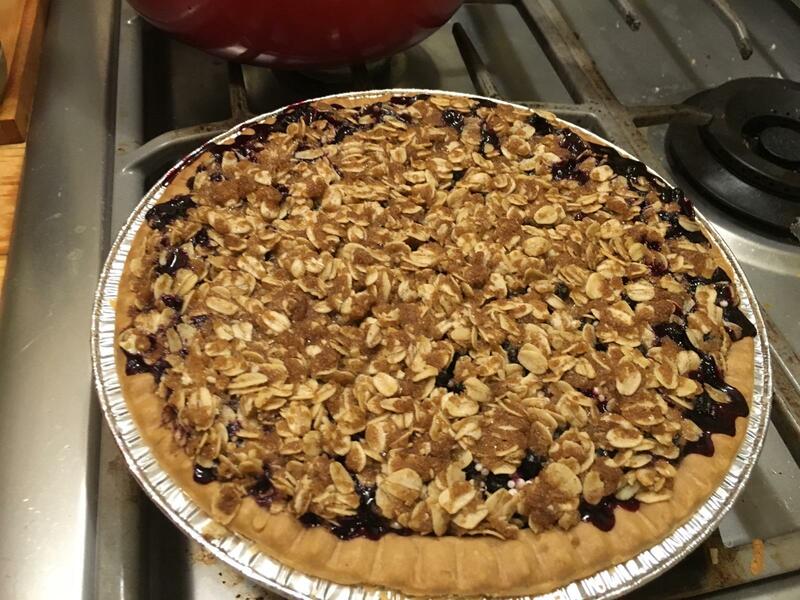 Tonight we are grateful for Brad and Diana for opening their home to us and delicious pies. Gosh darn it. 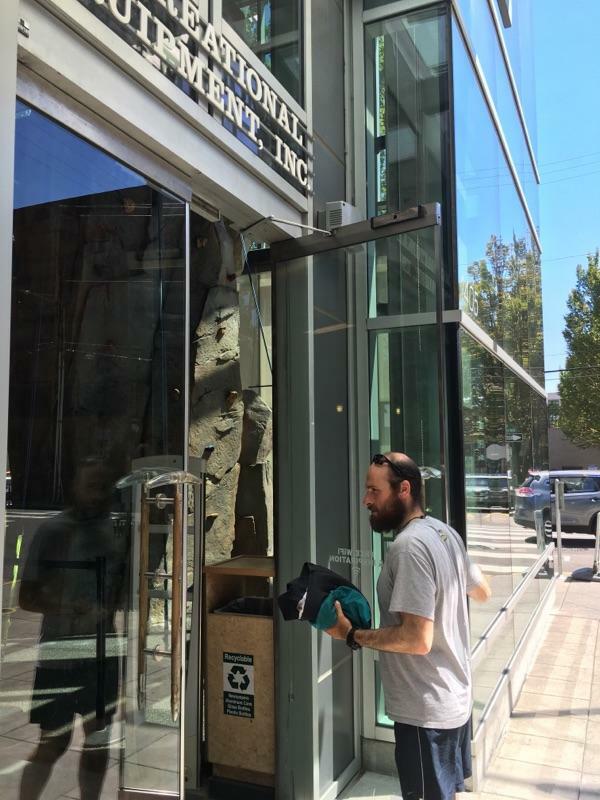 Wish you would have come to the REI in a Tualatin where I work. Bummer. Would’ve been great to meet you Sharon.. It was so nice to share dinner with you two at Bollywood Theater. On and off trail you guys are fun! Thanks Karen. Sure was great seeing you again!